Have you ever watched a butterfly or hummingbird sip nectar from a flower? You, too, can enjoy sipping flower juice by drinking floral teas. Classic black, green, and white teas are made from the leaves of the tea plant Camellia sinensis and contain caffeine. Herbal teas or tisanes, on the other hand, are made from a wide variety of plant materials and spices and do not contain caffeine or actual tea leaves from the tea plant. In addition to having unique flavors, herbal teas are often packed with health benefits. Many herb leaves are commonly used to make popular teas, but today, I would like to present some of the most popular teas made from flowers. 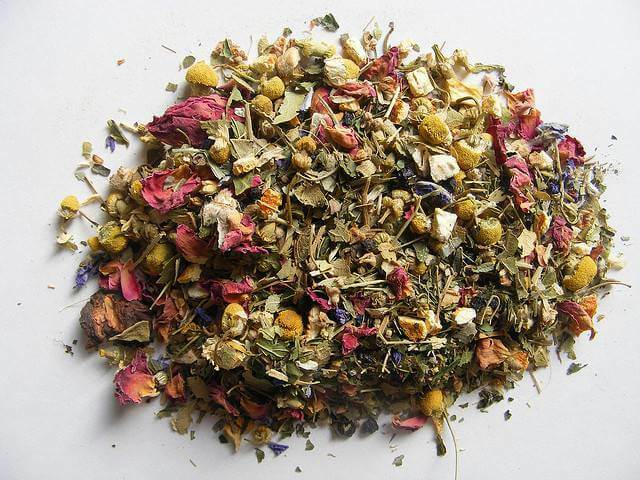 You can find all kinds of floral teas in stores and online. They may be sold as flower heads, chopped flowers, dried cakes, or in tea bags. However, if you have a garden, why not try making your own? I love making my own teas and giving them as gifts. Chamomile, roses, hibiscus, and linden are just a few types of flowers that are good for making tea. Actually, any edible flower can be used to make a tea, but they may not all taste good! To make your own floral tea, use only healthy flowers that are free of chemical fertilizers, pesticides, or herbicides. You can use fresh or dried flowers for tea. Most people who make homemade tea preferred dried flowers because they are easier to store. If using fresh flowers, be sure to rinse them first. If drying the flowers, tie flower stems and hang them upside-down in bunches in a well-ventilated, warm, dark place such as an attic. You can also spread them on a screen to dry or dry them in the oven. Keep the dried flowers in an airtight, labeled jar and store in a dark place; they will keep up to a year. It is easy to make a tea whether using dried or fresh flowers. Use one tablespoon of fresh flowers or one teaspoon of dried flowers steeped in one cup of boiling water. You can use a tea bag or tea ball or just strain the tea with a cloth. Usually, the steeping time is three to ten minutes; the longer it brews, the stronger it will be. The best roses to use for teas are highly fragrant and tend to be red and pink old-fashioned varieties. The tea generally tastes like the rose’s fragrance, so the taste can vary depending on the roses used. Most have a floral, tangy taste. Before using the fresh petals, rinse them off and cut off the white bases (they are bitter). To make the tea, simmer two cups of fresh rose petals in three cups of water for about five minutes, then strain out the liquid. Add honey, sugar, or sweetener if you please. This tea is full of vitamin C, and it smells heavenly! Hibiscus tea is popular in Jamaica and the Caribbean and is generally made from Hibiscus sabdariffa. 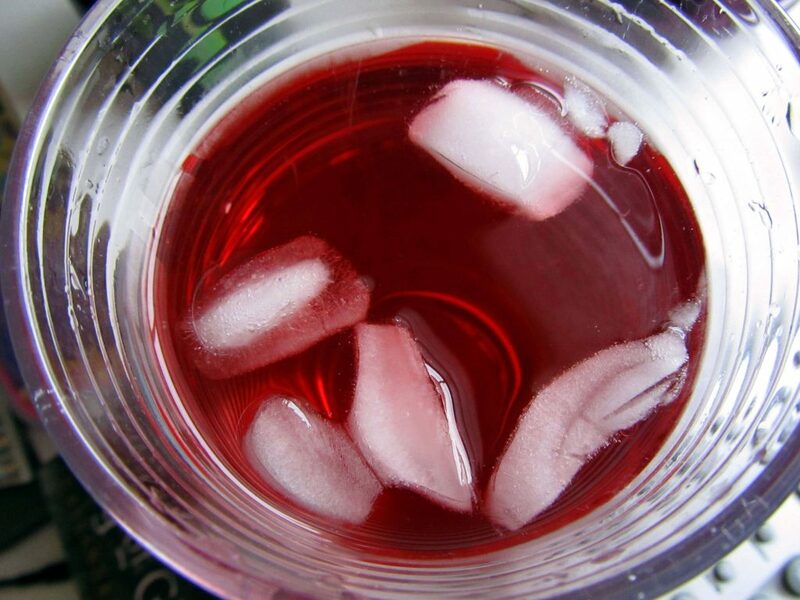 There are a variety of hibiscus tea recipes. The simplest recipe is to pour boiling water over two tablespoons of fresh, chopped hibiscus flowers, steep for five minutes, and strain. Sweeten to taste. Dried hibiscus flowers can be used as well, but only a teaspoon is needed. Red flowers make a beautiful bright-red tea. Try serving it iced with sugar, orange slices, or lime juice. Hibiscus tea has a tart, lemony taste that I love! There is nothing like curling up with a hot, fragrant cup of chamomile tea on cold nights. Chamomile is a very popular tea that you have probably heard of quite often, and it is said to promote sleep and relaxation. Although it is highly fragrant with a sweet, apple-like scent, the taste is mild. Chamomile is an easy herb to grow if you haven’t grown it already, and it is also easy to dry. Don’t drink this tea if you are allergic to ragweed, as this plant is in the same family. This tea is extremely popular in China and other Asian countries. It is made mostly from two varieties of chrysanthemum, Chrysanthemum indicum and Chrysanthemum morifolium. Most Asian grocery stores will sell it dried, or you can order it online. It is touted to have many health benefits. Teas made from the yellow flowers are said to be sweet-smelling and -tasting, while those made from the white flowers are bitter. 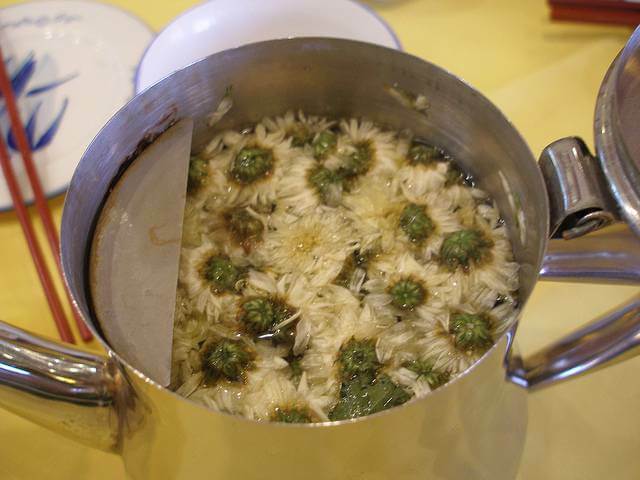 Chrysanthemum tea is often sweetened with rock sugar. I am lucky to live in New York, where this tea is easy to find. Bee Balm, also known as monad, wild bergamot, and Oswego tea, is a native plant from the mint family that was used for tea by Native Americans who lived near the Oswego River. They taught the first settlers how to make tea from bee balm. The tea has a minty taste. Bees and hummingbirds love this plant, but be warned that like other members of the mint family, it is invasive. I just had to add this section because I love blooming teas. It isn’t quite like the other teas because it is made with actual tea leaves, but it is stunning to look at as well as good to drink. 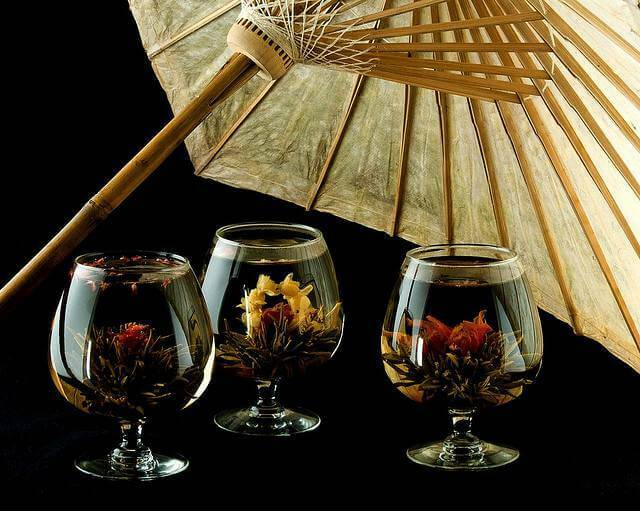 Blooming teas are made with white, green, or black tea leaves that are sewn together in a ball around a dried flower such as a rose, chrysanthemum, jasmine, or calendula. When dropped into a clear tempered-glass teapot or cup of boiling water, the tea leaves unfurl and the flower “blooms” before your eyes. The flavor is that of the type of tea used with a hint of whatever flower is used.